Just put it in your shoes!! A special 3-layered structure for perfect fit with your feet! Also super permeable! 6mm sheer insoles supporting your whole body from the sole. 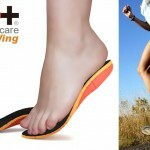 Troubled by flat feet, but can’t use any noticeable supporters…for those of you with these troubles, we have good news. Mesh-processed 3-layered structure makes it so sheer! So soft! So permeable!! The surface is also mesh processed and super air-permeable!! 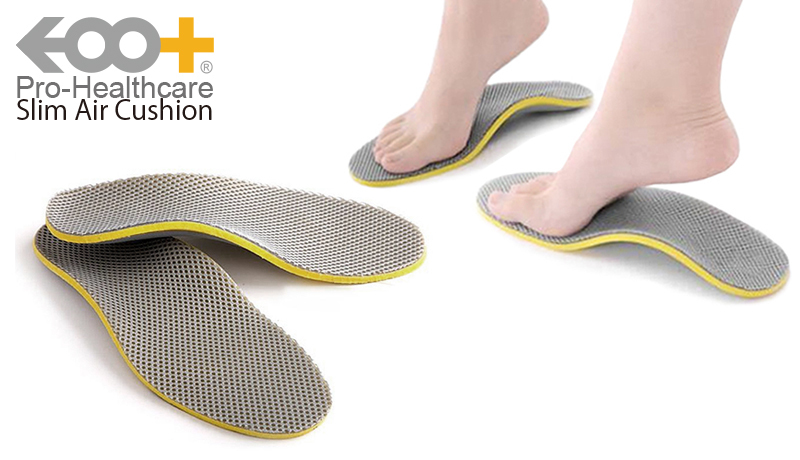 Its unique 3-layered structure turns the air between each layer into air cushions, absorbing the shock to your feet when walking. The hard plastic heel section steadies your feet and prevents the insole from shifting around inside the shoe. Shock-absorption and sole support allows you to maintain a beautiful posture while lightening the burden on your feet and hips. Healthiness starts from the sole! We have put great into its details for it to become an item suitable for your daily use.